HPCL Recruitment 2017-18: Apply Online for one Project Assistant vacancy in HPCL recruitment 2017 in Mumbai. New recruitment Jobs 2017 notification published for the post Officer in HPCL recruitment 2017 read complete details before applying. 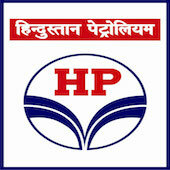 76 Vacancies in HPCL for the post Assistant Process Technician , Assistant Boiler Technician . HPCL Recruitment 2017 Job alert both Fresher and Experienced can get HPCL recruitment 2017 updated on November 26, 2017 notification on recent HPCL recruitment 2017 openings across India. This is an exclusive page updated on 26.11.2017 for the latest recruitment notification from Hindustan Petroleum Corporation HPCL 2017 it contains both active and recently expired Job openings and recruitment notification from HPCL 2017. Project Assistant: B.Sc (Chemistry/ Microbiology/ Biotechnology) or Diploma (Chemical Engineering/ Petroleum Refining). Age Relaxation : 05 years for SC/ST Candidates, 03 years for OBC Candidates & 10 years for PH Candidates. HPCL Selection Process : Selection will be based on Written test, Interview, Physical / Medical fitness. How to Apply for HPCL Vacancy : Interested Candidates may apply Online through HPCL website http://www.hindustanpetroleum.com from 20.11.2017 to 11.12.2017. thereafter website link will be disabled.